I have included some Medical Studies for you to have a look at. The studies come from various Universities throughout the world. Every year new data is being released and it is nearly impossible to keep up with. Before the internet it was near impossible to find any medical research on Tai Chi. However thanks to the wonders of the Internet it is so much easier to research. Aerobic Conditioning. Depending on the speed and size of the movements, tai chi can provide some aerobic benefits. But in the Japanese study, only participants assigned to brisk walking gained much aerobic fitness. If your clinician advises a more intense cardio workout with a higher heart rate than tai chi can offer, you may need something more aerobic as well. The largest study of Tai Chi for Arthritis, by Professor Leigh Callahan from the University of North Carolina, shows significant health benefits for people with all types of arthritis. This landmark study was presented at the annual Scientific Meeting of the American College of Rheumatology on 8th November 2010. In the study, 354 participants were randomly assigned to two groups. The Tai Chi group received 8 weeks of lessons, while the other group was a control group waiting for Tai Chi classes. It was found that there was significant pain relief, less stiffness and better ability to manage daily living. The participants felt better about their overall wellness, as well as experiencing improved balance. In September 2003, the Journal of Rheumatology published a study that compared older adults with arthritis. After 12 weeks, those that practised the Tai Chi for Arthritis form had 35% less pain, 29% less stiffness, 29% more ability to perform daily tasks (like climbing stairs), as well as improved balance, compared to the control group. The Journal of Advanced Nursing reports the results of a 2005 study on “The Effects of Sun-Style Tai Chi Exercise on Physical Fitness and Fall Prevention in Fall-Prone Adults”. Subjects were tested, before and after, practicing Tai Chi for Arthritis three times a week for 12 weeks for strength of the knee and ankle, flexibility and mobility, and the risk ratio of falls. It concluded that this tai chi program can safely improve physical strength and reduce fall risk in fall-prone older adults in residential care facilities. Arthritis Care and Research published a study in April, 2007, which observed that older, sedentary people with chronic osteoarthritis (OA) of the knee or hip, gained significant and sustained improvement in physical function as well pain relief with Tai Chi for Arthritis classes. The largest tai chi for fall prevention study in a community setting was published by the American Journal of American Geriatric Society in August 2007. 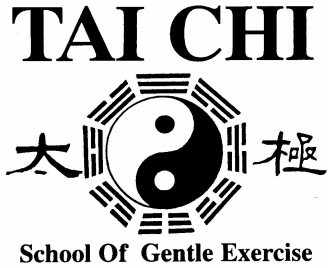 Subjects practised a modified tai chi program, which incorporated 80% of the Tai Chi for Arthritis program. The results indicate that recurring falls were reduced by nearly 70%. A two year tai chi study, published by Asian Nursing Research in December, 2008, discovered that practicing Tai Chi for Arthritis led to improving six out of eight quality of life measurements for older adults. And, after a half year, there were practically no drop outs. Tai Chi, a traditional Chinese form of exercise, may help older adults avoid getting shingles by increasing immunity to varicella-zoster virus (VZV) and boosting the immune response to varicella vaccine in older adults, according to a new study published in print this week in the Journal of the American Geriatrics Society. This National Institutes of Health (NIH)-funded study is the first rigorous clinical trial to suggest that a behavioral intervention, alone or in combination with a vaccine, can help protect older adults from VZV, which causes both chickenpox and shingles. The research was supported by the National Institute on Aging (NIA) and the National Center for Complementary and Alternative Medicine (NCCAM), both components of NIH. The study’s print publication follows its online release in March. The research was conducted by Michael R. Irwin, M.D., and Richard Olmstead, Ph.D., of the University of California at Los Angeles, and Michael N. Oxman, M.D., of the University of California at San Diego and San Diego Veterans Affairs Healthcare System. “Dr. Irwin’s research team has demonstrated that a centuries-old behavioral intervention, Tai Chi, resulted in a level of immune response similar to that of a modern biological intervention, the varicella vaccine, and that Tai Chi boosted the positive effects of the vaccine,” says Andrew Monjan, Ph.D., chief of the NIA’s Neurobiology of Aging Branch. The randomized, controlled clinical trial included 112 healthy adults ages 59 to 86 (average age of 70). Each person took part in a 16-week program of either Tai Chi or a health education program that provided 120 minutes of instruction weekly. Tai Chi combines aerobic activity, relaxation and meditation, which the researchers note have been reported to boost immune responses. The health education intervention involved classes about a variety of health-related topics. After the 16-week Tai Chi and health education programs, with periodic blood tests to determine levels of VZV immunity, people in both groups received a single injection of VARIVAX, the chickenpox vaccine that was approved for use in the United States in 1995. Nine weeks later, the investigators did blood tests to assess each participant’s level of VZV immunity, comparing it to immunity at the start of the study. All of the participants had had chickenpox earlier in life and so were already immune to that disease. Tai Chi alone was found to increase participants’ immunity to varicella as much as the vaccine typically produces in 30- to 40-year-old adults, and Tai Chi combined with the vaccine produced a significantly higher level of immunity, about a 40 percent increase, over that produced by the vaccine alone. The study further showed that the Tai Chi group’s rate of increase in immunity over the course of the 25-week study was double that of the health education (control) group. The Tai Chi and health education groups’ VZV immunity had been similar when the study began. In addition, the Tai Chi group reported significant improvements in physical functioning, bodily pain, vitality and mental health. Both groups showed significant declines in the severity of depressive symptoms. “This study builds upon preliminary research funded by NCCAM, and we are delighted to see this rigorous trial of Tai Chi for varicella zoster immunity come to fruition,” said Ruth L. Kirschstein, M.D., NCCAM Acting Director. Shingles, or herpes zoster, affects the nerves, resulting in pain and blisters in adults. Following a case of chickenpox, a person’s nerve cells can harbor the varicella-zoster virus. Years later, the virus can reactivate and lead to shingles. More information about shingles is available from the NIA athttp://www.niapublications.org/agepages/shingles.asp and from www.NIHSeniorHealth.gov, a website for older adults developed by the NIA and the National Library of Medicine, also a part of NIH. More information on Tai Chi can be found on NCCAM’s website at http://nccam.nih.gov/health/taichi/. To reach Dr. Michael Irwin, University of California at Los Angeles, contact Mark Wheeler at 310-794-2265 or mwheeler@mednet.ucla.edu. The NIA leads the federal effort supporting and conducting research on aging and the medical, social and behavioral issues of older people. For more information on research and aging, go to www.nia.nih.gov. Publications on research and on a variety of topics of interest on health and aging can be viewed and ordered by visiting the NIA website or can be ordered by calling toll-free 1-800-222-2225. The NCCAM’s mission is to explore complementary and alternative medical (CAM) practices in the context of rigorous science, train CAM researchers, and disseminate authoritative information to the public and professionals. For additional information, call NCCAM’s Clearinghouse toll-free at 1-888-644-6226, or visit www.nccam.nih.gov. ​Tai Chi exercises can help people with type 2 diabetes control their condition, research suggests. "In addition to the importance of moderate physical activity, the relaxation element of Tai Chi may help to reduce stress levels, preventing the release of adrenaline which can lead to insulin resistance and high blood glucose levels."